Sports are one of the most important parts of London city life, whether football, cricket, tennis, rugby, the London Marathon, and more. The city is home to thirteen football clubs, Wembley Stadium, Wimbledon, and the 2012 Summer Olympic Games. London even has American Football teams such as the London Blitz and the London Cobras. For decades, studios have been bringing sports tales from the pitch to the screen. These films range from heartwarming comedies to real life dramas, but all made London a central part of their identities as much as their locations. Enjoy a look at these five London sports films and let us know your favourites in the comments. 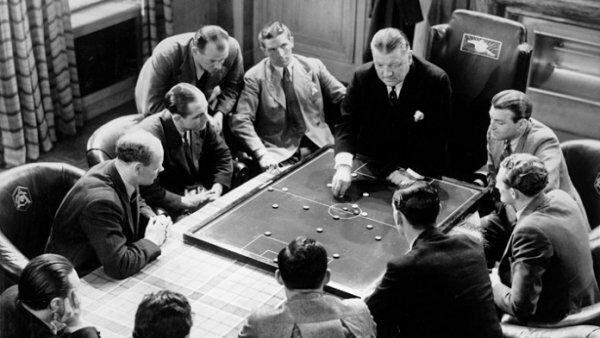 The 1939 film revolves around a murder that takes place on the pitch in a fictional match between London Arsenal and the Trojans. Arsenal Stadium features heavily as a film location, and the movie also gets Arsenal manager George Allison and most of the club to play themselves, though Allison is the only member of the organisation with a speaking role. With football suspended during World War II, the film comes at a time when Arsenal was riding a wave of success. Even though the team aren’t the primary characters, the club’s presence in the film is undeniably a central element. 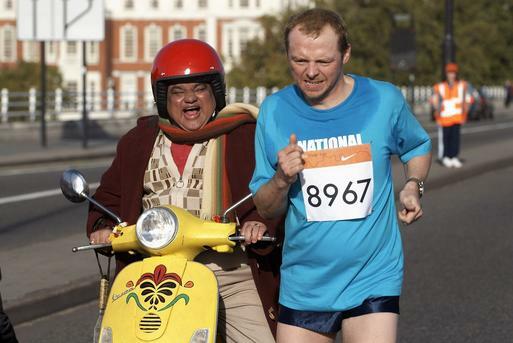 With the Nike River Marathon as a key plot element (an expy of the London Marathon), this 2007 film stars Simon Pegg, Thandie Newton, and Hank Azaria. When Dennis Doyle (Pegg) leaves a pregnant Libby (Newton) at the altar, he has to compete in the marathon years later to show that he can commit and show-up her new boyfriend Whit (Azaria). While presented as a romantic comedy, the film’s theme really becomes about endurance and dedication as an injured Dennis continues in the race to its happy conclusion. Another Arsenal-related film, 1997’s Fever Pitch is based on Nick Hornby’s semi-autographical book of the same name. 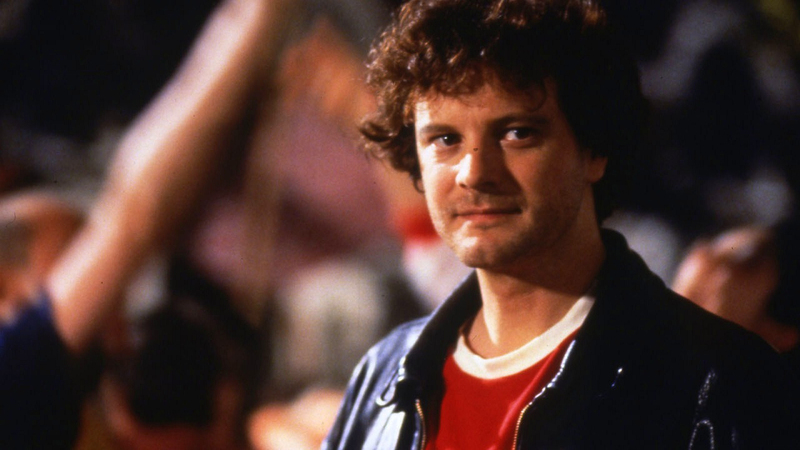 The story sees Colin Firth as Paul Ashworth, a school teacher with a serious love for London Arsenal. The film revolves both around Paul’s love life and how his fandom affects his relationship with Sarah Hughes (Ruth Gemmell) during the club’s 1988-1989 championship season. As with The Arsenal Stadium Mystery, portions of the movie were filmed at Arsenal Stadium in Highbury, but since the terraces had been replaced during renovations in the early 90s, those scenes were filmed at Fulham instead. 2004’s Wimbledon sees Paul Bettany playing aging tennis pro Peter Colt, who manages to snag a wild card spot for that year’s tournament, though he’s getting smart enough to realise that he can no longer compete at the same level against younger players. By chance, he happens to bump into one of them, American player Lizzie Bradbury (Kirsten Dunst) and the two end up falling in love. However, sport gets in the way as Lizzie’s father and manager is concerned the relationship will affect her game and tries to break them up. Ultimately, the two find out that their strength is together and their individual games only suffer when there’s tension between them. As much a movie about being an outsider as it is about women’s football, the 2002 film was a major success for director Gurinder Chadra and stars Parminder Nagra, Kiera Knightly, and Jonathan Rhys Meyers. When Jesminder “Jess” Bharma (Nagra) encounters Jules (Knightly) and other girls playing football in the park, she seizes on her dream to play for a real club and joins them. Throughout the movie, Jess has to deal with her parents’ disapproval, casual and overt racism, and her own self-doubt against the backdrop of the team’s matches and a burgeoning relationship with club manager Joe (Rhys Meyers). The city and its attitudes over different times to immigrants and female athletes are on display here as are the contrasts between generations.